Michael Williams is a Krieger-Eisenhower Professor and a Fellow of the American Academy of Arts and Sciences. From 2001 to 2013 he served as chair of the department. Before coming to Johns Hopkins, he taught at Yale, the University of Maryland, and Northwestern. He has been the recipient of an NEH fellowship and has held visiting positions at several universities including Chicago, Michigan, Oxford, Pennsylvania, and MIT. Professor Williams lectures frequently nationally and internationally. His main areas of interest are epistemology (with special reference to skepticism), philosophy of language and the history of modern philosophy. In addition to numerous articles, he is the author of Groundless Belief (1977; 2nd edition 1999), Unnatural Doubts (1992; 2nd edition 1996) and Problems of Knowledge (2001). 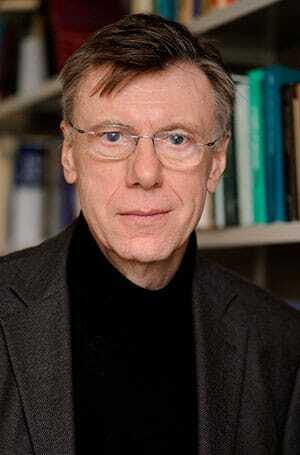 He is currently working on Curious Researches: Reflections on Skepticism Ancient and Modern.